Happy Monday!! (Is that a contradiction of terms?) As promised, we've got new blog candy for a new week. 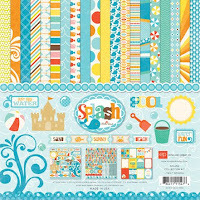 Who would like to win the very brand new "Splash" paper pack by Echo Park? Just leave a comment on today's post, and then come back each day this week for more chances. To order this kit, or any of our other kits, just go to our Cricut Kits page and use our handy-dandy new shopping cart. You can pay with PayPal or Google checkout, and it combines shipping and calculates your postage based on where you live. It's been working very nicely! Plus we'll be featuring one more new kit tomorrow, and it's already listed in the shopping cart, so you can see it and order it along with this Disney Book. This colorful Disney album will work perfectly for pictures of you or your kiddos with all of your favorite characters - plus space for the characters to sign the page! 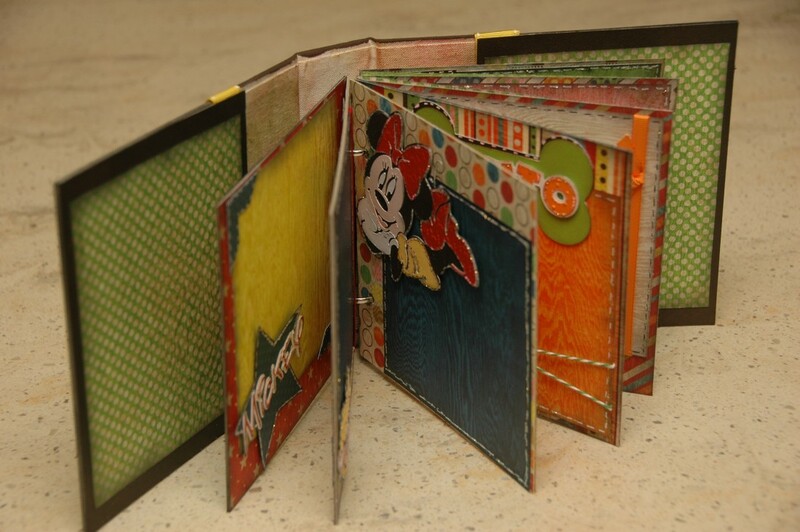 There are beautifully detailed pages with Mickey Mouse, Minnie Mouse, Pluto, Goofy, Daisy and Donald Duck. You could even use this for a past trip by just transplanting the autographs and adding your pictures. This kit will include the album that you'll get to decorate yourself and 6x6 chipboard page inserts, plus all of the patterned papers, cardstock, ribbon, brads and twine that you'll need to complete the project. You'll also get our detailed yet easy to follow directions with Cricut Cut Chart, well-organized written instructions, and plenty of color photographs. To complete this project as shown, you will need the following supplies: Cricut Expression and mat, Mickey & Friends cartridge, Mickey Font cartridge, Diamond and Black Diamond Stickles, white gel pen, black pen, Cuttlebug (optional) with Swiss Dots embossing folder and Tiny Bubbles embossing folder (or embossing folders of your choice), black chalk ink, red and green chalk ink, hole punch, 3D pop dots, dark brown acrylic paint (inexpensive stuff from any craft store), plus basic tools and adhesive. This complete kit is $30, and will be ready to ship out May 31st. You can pre-order it now on our Cricut Kits page. Or you can purchase the directions only for $10. To purchase directions only, just check back on our Cricut Kits page by May 31st, and you'll be able to pay for the directions and download them automatically at the same time. 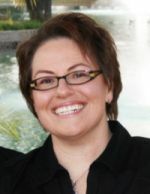 If you have any questions at all, you can always reach me at moniquegriffith@yahoo.com. Omg this is so adorable. I'm an absolute Disney Fanatic and this Autograph/Picture book is perfect. What a great kit! I can see it used as an album or autograph book. This Disney album is really cute. I don't have the Disney characters cartridge yet. Thanks for the opportunity to win. That book is so cool!! Great idea!! Thanks for the chance to win!! After I post this comment I am going to the shopping cart!! Awesome autpgraph book. I plan to use it in the future and can't wait. Incredible job. Keep up the fantastic work! You are all the best! OMGoodness! I am in love! Beautiful work Wendy!!!! This paper looks absolutely gorgeous!! What a cute, cute kit. Love the colors and of course its Disney so it has to be cute. Great Book Wendy! My daughter would love to go to Disney Land but it's not in the budget. The autograph book is so adorable! I just love the colors and the design. Perfect for a trip to Disney! Amazing book, Wendy! I just love it! So useful for a fabulous trip to Disney! Adorable! Wish I had this before my trip to DisneyWorld in March! Very Cute! 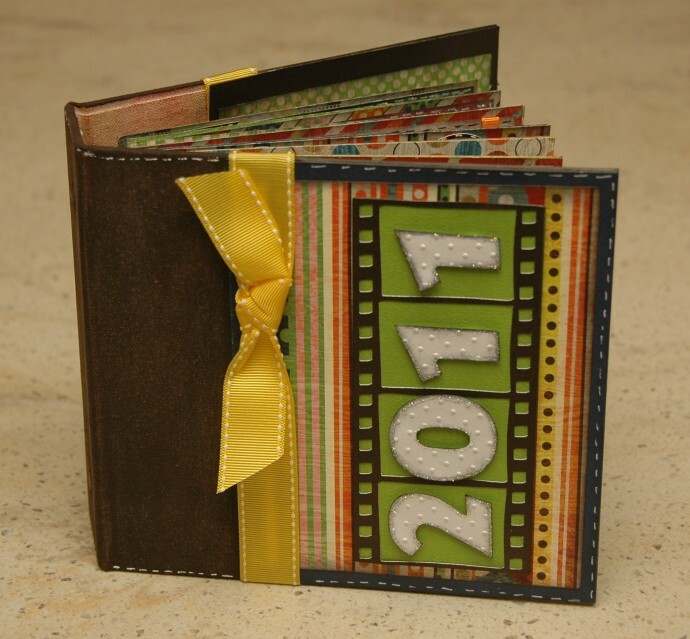 I would love to make little "Birthday Party Albums" like that, But where can I find those mini 2 ring binders, hmmm? WOW! This is just amazing! I wish I had such a neat book for autographs when my son was little. Now that he's almost 18 I don't think I could get him to carry this around BUT I can always make on for my future grandkids! :) TFS! That mini is so cute! TFS!! and for a chance to win the blog candy! I love Echo Park! This is so beautiful! I'm planning a Disney trip in June so this would come in super handy. The Disney mini album is adorable! What a great idea! We go ever 3 to 4 months so I would probably need about a zillion of these! Totally cute! Love my Disney! This is an adorable idea. love the album!!!! I'd love to win the echo park paper as well. I am so ready for summer. Would love to win that summery paper. Oh wow! That is a great kit! The splash papers are awesome too!! What a cute book, I have past pictures of our family vacation to Disney that would work great with this. Yaaay! I've been waiting to see this autograph book. SO CUTE! We are going to the big "D" in the Fall so I'll be ordering this one, too! Thanks, Wendy! Awesome job! Adorable kit Wendy! I love anything Mickey and this will be nice for a trip to Disney this summer. Thanks for sharing! This is a darling album! I so need to do this one for my grandchildren! What a cute project! Great blog candy too! Thanks for the chance to win! This is so adorable. It would have been wonderful when we took our kids many years ago. Just such a cute cute idea. Awesome autograph book. Super inspiring!! And what great detail. Gorgeous book!! I Love it! Great disney project! Very nice details! Thanks for a chance to win some awesome blog candy! What beautiful paper, a girl can never have to much paper. LOL Thanks for the chance to win it. Great Disney album. So look forward to your projects. Wonderful Giveaway!!! Love love love that little album! you can never go wrong with Disney! And the line is great! This is such a cute book!! What an adorable project that when finished you would want it on your coffee table! I love the new book, it is so cute!! Would love to win the EP paper it is very hard to find. This is so perfect I love it!! What a gorgeous autograph book!! Thanks for the chance to win some Echo Park paper. I love it but cannot find it at any store near me. This is awesome I wish this had been around when my kids when young and went to Disney World, I guess I will have to wait for the grandchildren now lol. Wow! This is gorgeous!!! 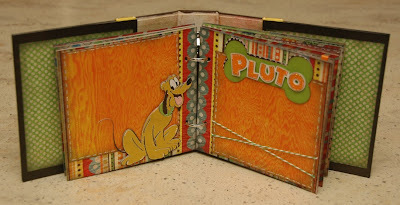 I love Disney, and this is certainly the best autograph book I have seen in a long time! love the disney book! very detailed too. I love this autograph book. Just got back from Disney World and this looks a lot better than the plain autograph book my daughter used. I LOVE IT! 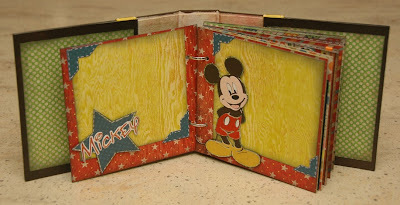 I need to make 2 autograph books for Disneyland anyways! ***This paper is GREAT - please do tell what line this is from - I would like to have the paper pack for other projects - it is perfect! This autograph book is absolutely adorable! I think any child would love this! Wendy's autograph book is terrific...great job Wendy! Love the colors and papers you chose....tfs! Super cute! Awesome job, Wendy! I just saw the Echo Park Splash line this weekend and am i ove! Can't wait to get my hands on some. what a wonderful project thanks for sharing and the chance to win splash. Wow, Wendy! This is pretty darn cute. Good price too. I thought it may have to be priced a little higher with that nice album. What a great keepsake and fun for the kids, adults, too! Love that Splash paper. OMG this is soo adorable! I love it! 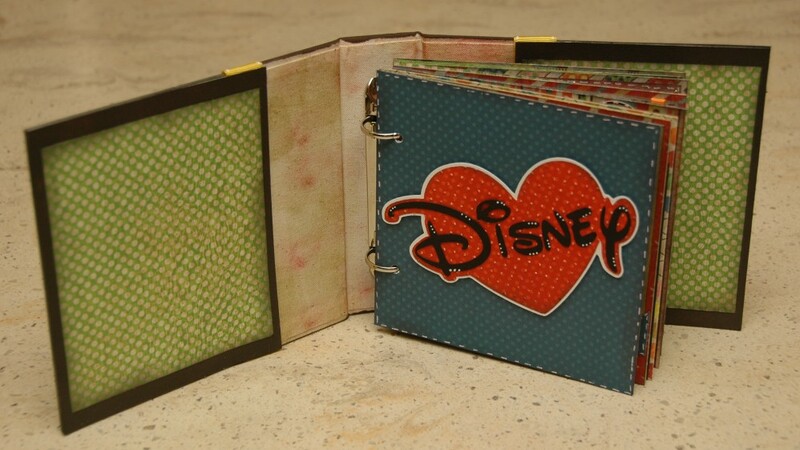 The Disney autograph book is so cute. Loving this. TFS. Brilliant idea to make this Disney book...perfect thing for the happiest place in the world. Awe, that book is fabulous! I need to make one now for when we finally take our not-quite-2-year-old daughter to Disney for the 1st time. Love the EP paper, too. So fun and fresh looking. Makes me want to go run through a sprinkler! I just completed your Play time layout, my first time using my E2 along with your directions. It came out great!! Oh, this is so adorable. This would be the perfect autograph book for my grandkids to take to Disneyland. Thanks for sharing. I always love to see waht you have created. Love it, love it, love it. Disney World is my favorite place and Mickey is my buddy. Also would love to win the Echo Park paper. OMG! That is so darn cute. What a great idea! love it. Way to go Wendy!! Your art is magnificent. Looks like a great kit !! 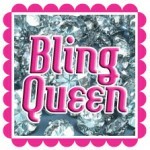 SUCH a fab idea - no surprise there coming from the Bling Queen!!! pick me pick me we are taking the children to Great Wolf Lodge for a weekend of swimming and this would be perfect! I love your Disney book a great kit!!! What an adorable autograph book. Thanks for a chance to win!!! I Looooooooooove this autograph book especially because it is Disney themed. You have totally convinced me to buy the kit. This is sooo nice! Love all the colors and Disney! This is so cute!! I love everything DISNEY!!! Thanks for the chance to win!! I commented on my Challenge Blog name by mistake and my picture isn't coming up on my personal comment. Sorry. I do love your Disney autograph album. The papers are so pretty and the characters look great! What a great book TFS. That is an awesome autograph book!! Hi, what a really CUTE book! Thanks for sharing. This is so adorable! I don't have any kids so I'm not going to Disney anytime soon, but if I was, I'd sure consider it! I would love to win the Splash Paper pack. I wish I had little ones to be able to do Disney pages for. Thanks for the chance to win!!! Love Echo park!!! The disney album is soooo cute!!! Love the new paper... Disney album is so cute. We have a Disney trip planned later this year... Better get started!! So, so cute! Love it!! Amazing kit! So much detail. Adorable Disney album!! I absolutely love Echo Park papers and this kit is screaming for my kids beach photos this summer! I love Disney anything. Love your book, it is just adorable! Wendy it's wonderful! Absolutely love it. Can you say super cute? Yep. Thanks for sharing with us. Oh my gosh! This is adorable!! So much work and it will be so worth it when you take Emily to DisneyLand this summer! So fun! What a cute autograph book. Love the colors and how the Disney characters are on each page. Super cool and would love to win the echo park splash paper. How fun is this? So creative! This book is so cute. Thanks Wendy for making this. I can hardly wait to get it. What a fabulous book. Grandchildren going to Disneyworld in June and will love this! What an adorable book!!!! Thanks so much for the chance to win!!!! WOW !!! Love it!!! This could easily be use as an album instead. The Disney book is super! Thanks for the chance to win you blog candy. Such talent! The kit is great!! Super cute autograph book. Just love the Mickey cartridges. Also love, love, love Echo park paper! Hope I win! I love your Disney book. Did you know I am Mickey's number one fan? I LOVE LOVE LOVE the disney book... (autographs or even an scapbook) perfect! i hope someday to take my grandkids... TFS a giveaway - love this paper pack!!! What a great kit. AND this paper is so inspiring. Just wish the sun would come out. all I have to say is AWESOME!!! thanks for a chance to win! love all things Disney and Cricut and this is both rolled into one!! What a cute book. And thanks for the chance to win these wonderful supplies! This would be so fantastic for my grandkids who are going to Disney in August. That is the cutest book ever. Wish I had something like this when we went to Disneyworld. I think adults, not just kids, who love Disney could use this book :). Keep up the great work. This is a really great book! Hope you have a fabulous time when you go this summer. What a neat idea! I really like this book, very cool. So Disney adorable! I want to be a kid again. Ok this book has my name all over it. Beautiful. Love the autograph book. The colors are great. HOw incredibly cute!! 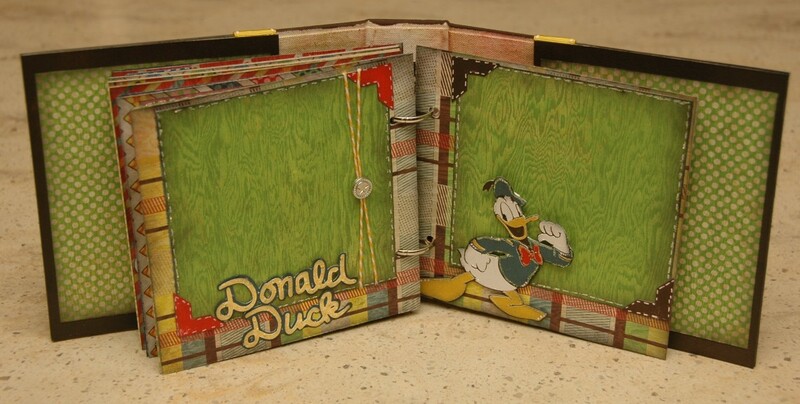 Way cuter than the autograph albums they sell @ disneyland! I would love to win the Splash assortment! looks really great. Oh, that Disney autograph book is really cute, what a great idea! I am off to Disneyland tomorrow to celebrate our 20th wedding anniversary. But will be going in Sept with the kids and grandkids....so I will HAVE to make that autograph book! I love this album!!! Super cute. what a cute album! Nice kit. This autograph book is just perfect. Any Disney Character would stand in line themselves to sign this book. Very impressive. Once again, AMAZING! As I've said before, you're site is a fav because I'm so inspired every time! TFS, as always! Super cute Disney album. Thanks for the chance to win! This is such a cute idea. A friend of mine is taking her girls to Disney in a month. May need to do something like this for them Thanks for sharing your creative talents. What a wonderful album for the children to remember the good times at Disney! Brings back memories of 30 years ago when I took my kids. Maybe it's time to take the grandkids. I'm into making mini's and your is above the top as usual! 1 The Echo Park paper is perfect for this time of year, with the sunshine yellows! Very cute! Love the design and colors. This book is so adorable! Cute cute cute! Thanks for sharing! I love the disney book! I live real close to disney so I'm a big fan. I love echo park papers so this is a good giveaway! Thanks for sharing and the chance to win! That is tooooo cute. My daughter is going to disney in a few months... might have to order the kit. Thanks for the chance to win the fun paper pack!!! How cute is that-we just went to WDW in march-wish I had this then! I can hardly wait for this it is so stinking cute!! 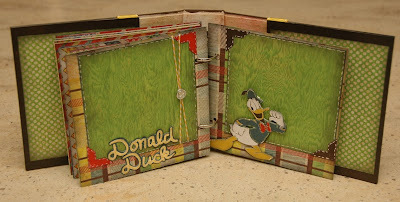 Wonderful autograph book, now I want to go to Disney, LOL! That book is wonderful! Great job! That is adorable, what a great idea for those Disney vacations!! This is so super cute, I love it! Thanks! My word that album is beyond adorable!!!! Thank you for the chance to win the Echo Park paper pack!!! love love love it too! !